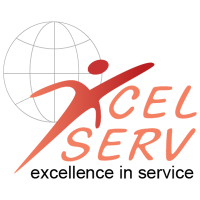 Xcel Serv Solutions Walkin Drive On 27th May 2017. Hiring 0 – 5 Years Experience candidates. Xcel Serv Solutions is conducting Mega Job Fair for Graduate freshers and experienced candidates for the position of Associate, Senior Associate – (Non Technical). It is not an easy task to get a job in BPO. Candidates are advised to check HR Interview Questions so they can prepare confidently and can easily place in the Xcel Serv Solutions Company. Aspirants should have fluency in English language and able to handle the Customer service & Sales Calls from US Customers. Contenders who are going to appear for Xcel Serv Solutions they need to check the overall post. In this article, we have uploaded the latest job openings in Gurgaon along with Xcel Serv Solutions Previous Papers. If candidates should have good knowledge and express it in a proper manner, the company will provide Good salary Package, huge incentives, and cab facility. Job aspirants Excellent Communication and interpersonal skills and willing to work in US Shifts. Preparing according to the Xcel Serv Model Question Papers candidates will get an idea about the pattern of Written test and crack the Xcel Serv Solutions recruitment. Qualified contenders can attend for the venue as per the schedule. Salary INR 2,50,000 – 4,00,000 P.A. Handling Customer service & Sales Calls from US Customers. Sell, cross sell travel related services (Flights, Hotel, Car, Travel Insurance, Holiday Packages etc). The company will provide both side cab facility. Xcel Serv Solutions will give Huge Incentives. (Starting from 40 K ). Candidate must possess Graduate, Post – Graduate. Exceptionally Fluent in (Spoken) English Language. XcelServ Solutions is an integrated dynamic establishment offering competitive and professional services globally through a combination of technology knowhow, domain and process expertise. Since the inception of Xcel sev, we have left an ineradicable impression in every domain with an impressive clientele and an extensive global presence. Headquartered in the USA, Xcelserv has a business development team in the USA as well as in Gurgaon and has a global presence in the travel technology. Founded by industry veterans and backed up by big venture capitalist, the company is currently in the process of adding operation facility in the Philippines. Candidates who had completed graduation they can attend Xcel Serv Solutions Walkin Recruitment which will be held in Gurgaon on 27th May 2017. Interested aspirants can check the below details and attend at the mentioned venue. Nearest Metro Station: IndusInd Bank Metro Station.